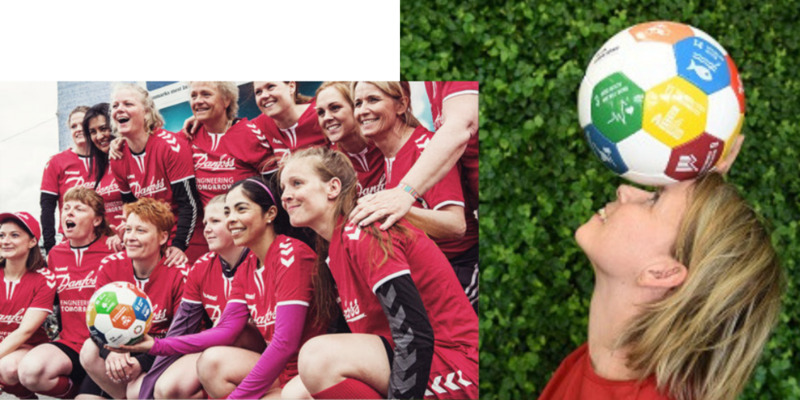 The Sustainable Heros represent Danfoss in the Global Goal World Cup because in their daily work sustainability and the global goals are a natural part of engineering tomorrow. They want to tell the world that we can make it if we work together for a common goal. Danfoss has been a participant of the UN Global Compact since 2002. Through their sustainability efforts, they comply with the ten principles of the Compact – which covers human rights, labor rights, the environment and anti-corruption. They continue to support the Global Compact as a governing principle in our sustainability efforts and are actively engaged in national Global Compact networks. - and deliver on many of the 17 Sustainable Development Goals. Read more here. Through our daily work with district heating, cooling systems and overall passion. Danfoss also played in the GGWCup in Copenhagen in 2016. Welcome back onto the field this coming May.